Top Desert Moroccan Berber team will put their expertise to allow you to only have the best of Morocco. You can count on Top Desert to arrange all kind of tours you wish. It will provide complete travel packages, transportation with English speaking driver, accommodations, desert camping (luxury and standard), camel trekking, sandboarding, quad biking / ATV, and event organization. Top Desert as a leader in active travel holidays and private Morocco tours specialist, offers travelers many services. Its global service is to plan and prepare everything before you arrive to Morocco. It will make you gain time and avoid bad surprises. Please note that all our tours are private. So the departure date, the itinerary of the tour, the stop places, the breaks... It's all yours. Top Desert can arrange private tours for individuals, private small groups of friends or students, families to all major travel destinations. Tours can start from any city or village in Morocco and can include / exclude whatever you want. You can travel with 4x4 vehicle or a van depending on the size of your private group. There is a lot of adventures you can add to your private tour like camel trekking, camel caravan, sandboarding, desert camp overnight, quad biking and dune buggies, trekking mountains... The choice of your accommodations is very important to make your private tour magical. 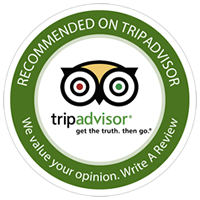 We personally inspected Riads and hotels we work with in order to be sure that you will be in a very authentic and traditional places. Top Desert can also arrange excursions and day trips for private small groups, families and individuals to the best attractions in the area. Starting from Marrakech, Ouarzazate or Zagora, Top Desert excursions will take you to Ait Benhaddou, Essaouira, Ouzoud Waterfalls, Ourika, Imlil, Dades Gorge, Todra Gorge, Tinfou dunes, Erg Lihoudi dunes and Nkhila dunes. Top Desert can make your adventures in Morocco more easy to arrange. All you have to do is to contact Top Desert experts and tell them exactly what you want or let you get inspired by them if you don't have a clear idea. 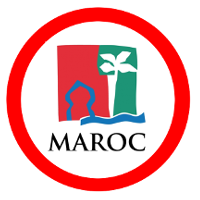 Then in a few emails, your Morocco adventure package holidays will be ready. This desert adventure is one of the most impressive travel experiences. You will ride your camel and go for few minutes/hours. It depends on you. You can do it as much as you want. It's included in all our desert tours. Generally, we recommend to our valuable clients to do it in the end of the day before the sunset. You climb the half of the dunes with your camel and you do the other half to the top by yourself to assist to the sunset from the top of one of the biggest sand dunes in Africa. This desert adventure is different from camel trekking. Camel trekking can take from few minutes to few hours. But a camel caravan is about 2 days or more. It can be toke as a part of tour or as a dedicated desert adventure. Generally we arrange transfers from Marrakech or Casablanca to the desert in one day. Then you start your camel caravan. You will then go deeply in the desert during few days. In the end our 4x4 vehicles join you in the desert to take you back to Marrakech or Casablanca. You will spend the night in the desert with your friends and/or family. You will be served by a Berber team. You will enjoy Berber music and animation. All that and even more in our desert camps in the sahara desert. In each camp, you will have everything you will need to make you just enjoy your stay. You will have all facilities you need like toilettes, showers, comfortable bed and warm covers. The luxury desert camp is like a standard desert camp except some options. The beds are more comfortable. You will have your private toilettes and shower in your trivate tent. The decoration is more luxurious. There is no word to describe this breathtaking experience. Wild desert camp is more wild than a standard desert camp. You will sleep in a Berber tent. There is no toilettes and no shower. Lots of travelers like to try this complete wildness. The private mobile desert camp is for people who want to be alone in the desert. It's considered more luxury than a luxury desert camp. Because in a fixed luxury desert camp, you can meet other travelers spending the night there. Sometimes it happens that some travelers want to be completely alone (casa of honeymoon for example), then the best choice is the private mobile desert camp. You will go deeply in the desert. Then you choose (or let our desert guides choose for you) the perfect place where to set up the desert camp. Our Berber team will be ready to serve you. All you have to do is enjoying your time in the desert. Sandboarding is also one of the best desert adventure people look for when they come to the desert. You can try it in all our desert tours. 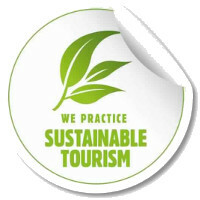 All you have to do is to mention it when you will be booking your tour. Then our experts will take it into consideration. This mountain adventure is for peopele who want to do some hiking, walking and climbing. We can arrange that for you as a part of a tour or as adventure package. Top Desert is flexible with all your needs. If you want just to rent a car with driver, we can provide that. You will be traveling with one of our experimented English speaking drivers. Top Desert will make the happiest event in your life even happier by adding a very exotic touch. It can organise a wedding in the desert a very special birthday or a few days honymoon spent in a very luxury desert camp in Morocco and served by the Berber people. To organise any special event or make a surprise to your partner, please don't hesitate to contact Top Desert.